Vice Dean of Finance at the School of Economics and Finance at Universidad del Pacífico. He works as professor of the Academic Department of Finance and as a researcher of the Research Center of Universidad del Pacífico. He holds an MBA in Finance from Columbia University (USA) and a B.A. in History from Georgetown University (USA). He has experience as a professor of Finance at undergraduate and graduate levels. 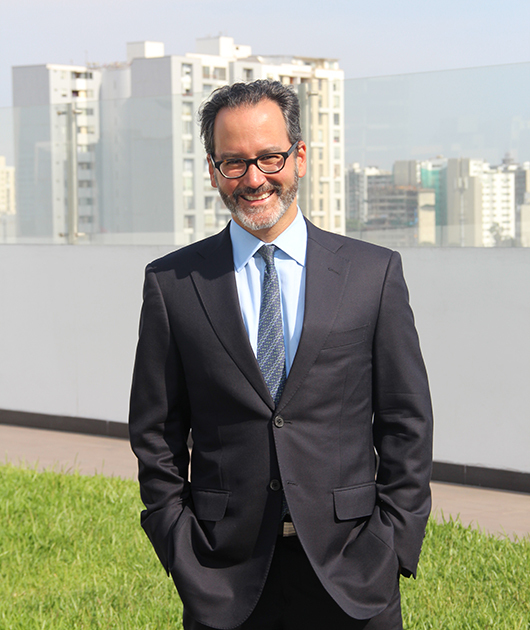 He has represented HSBC in Peru, mainly focused on the energy, mining, and oil & gas areas. He worked for fifteen years at ING New York, in Private Equity and debt structuring teams, where he also led the Syndicated Loans team for Latin America, which was aimed at the structuring and distribution of bank debt.